As expected, I didn't get much sewing done this weekend, only accomplishing another row of my triangle quilt and some more of my "Waiting Quilt" hexagons that I first posted about way back in January. 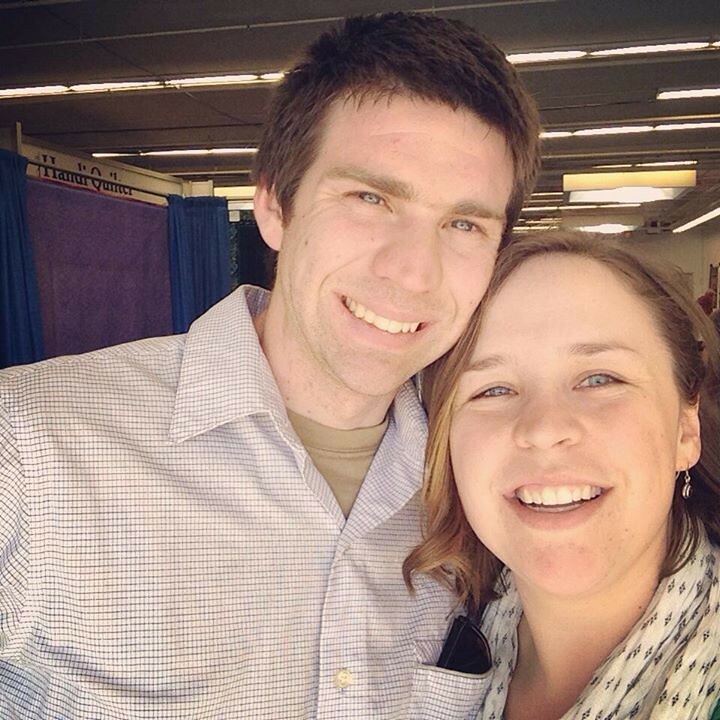 I did, however, get to visit the 2014 Machine Quilters Exposition quilt show in Manchester on Saturday with my husband. I had a great time and he was a good sport about the whole thing. Since I don't have anything new to share I wanted to share some of my favorites from the show. 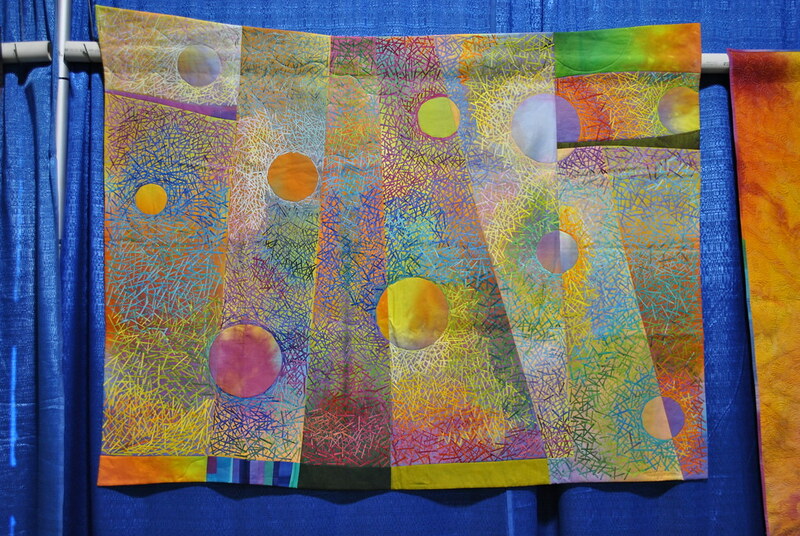 For all of the pictures from the quilt show visit my flickr set: MQX 2014. 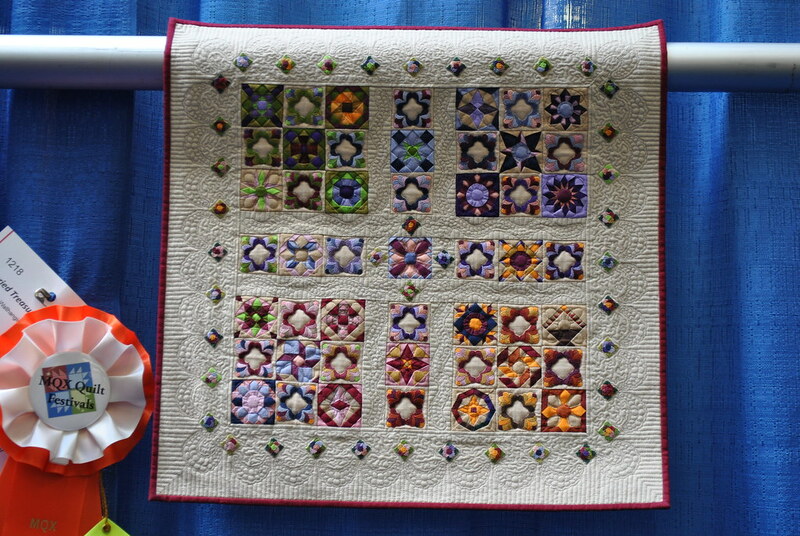 One of my favorites of the show was this itty-bitty, teeny tiny miniature quilt by Mary Kay Mouton. 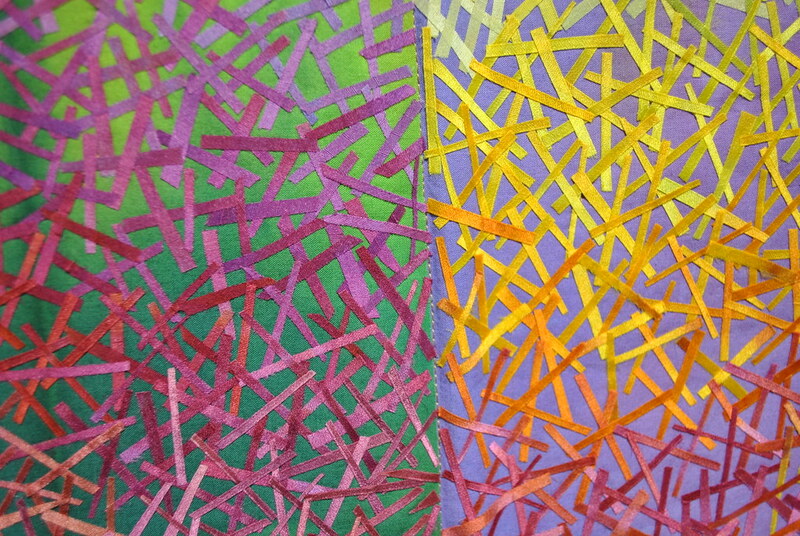 I had never heard of her before the show but a quick Google search discovered that Mary Kay teaches a method of paper piecing called "Flip-Flop" piecing. 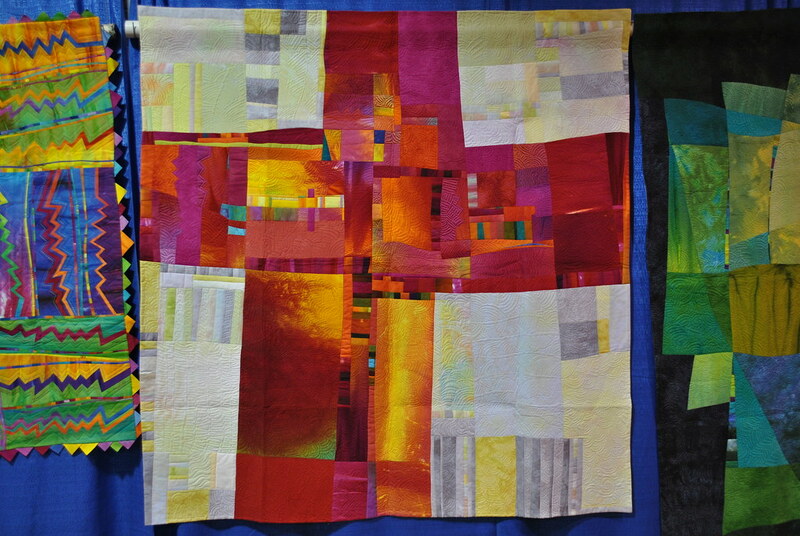 Her blog describes it as a new paper-piecing system in which a quilter works on not one, but both sides of every foundation. Hmm... Sounds interesting. Does anyone have any experience with her technique? 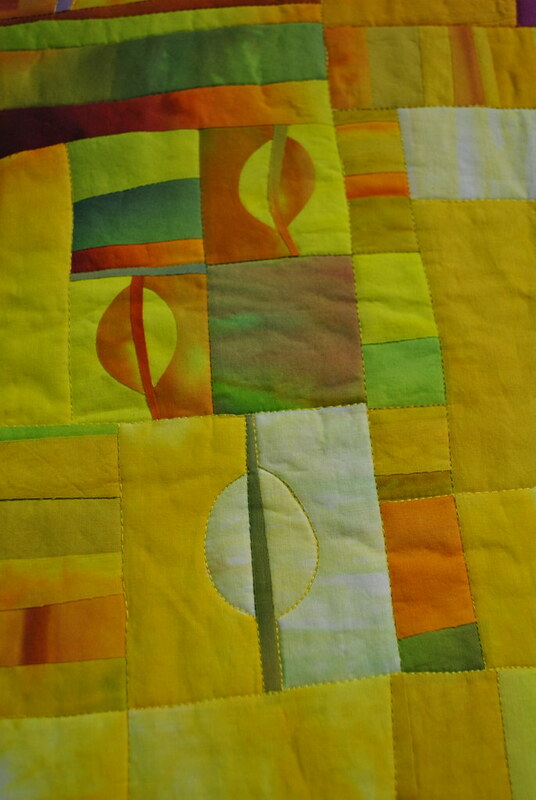 What really blew me away about this quilt was the size of the finished blocks. They must have been only 1.5" or smaller even still. Those little rosettes are no bigger than 1/4 inch! Enough words. 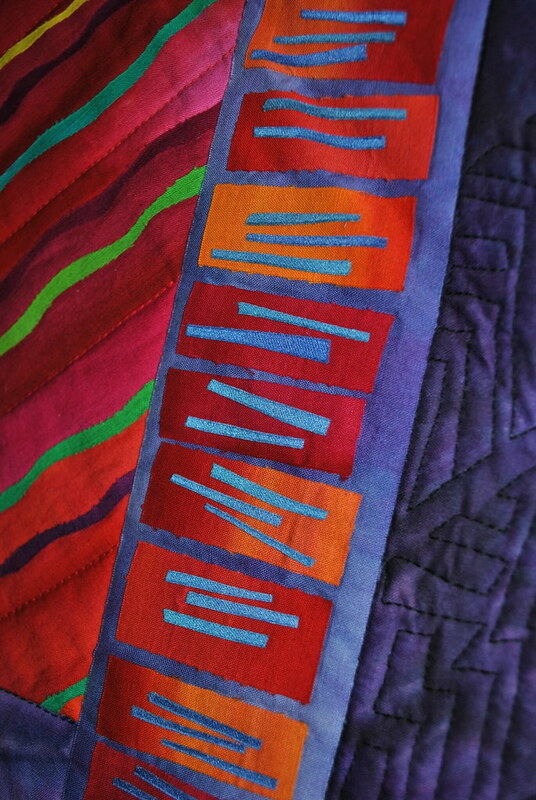 Let's get to her amazing quilts. Loved the border on this one. I'll leave you with this for now. Be sure to come back for more about the show! I'm linking up with Stitch by Stich for anything goes mondays.